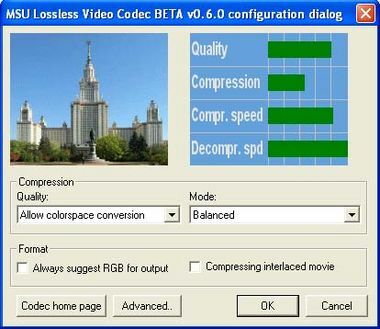 Free high quality lossless video codec. 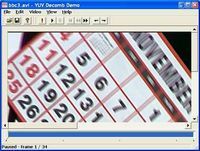 This codec is intended for lossless video compression (used for saving master copies or intermediate rendering results). It has the best compression ration among free lossless video codecs. Supports RGB, YUY2 and YV12. Allows to set up speed/compression ratio compromise by choosing appropriate motion compensation algorithm. Allows to set up loss/compression ratio compromises. Performs accurate denoisng in temporal and spatial domains during lossy compression. Denoising offten improves quality of video.